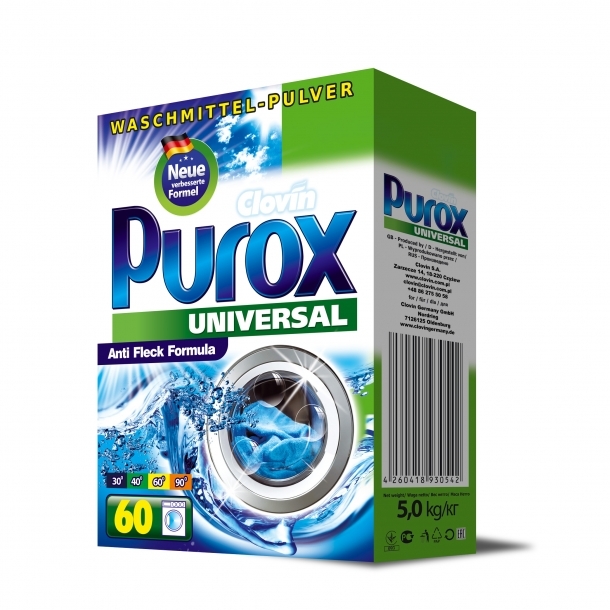 Purox brand contains universal powders and gels for washing, for bright and colourful fabrics, to all types of washing machines and hand washing. Suitable for everyday use, to wash off light and medium dirt. Additionally, powders protect the machine from scaling, increasing their lifespan. They do not contain zeolites and phosphates. A powder for washing fabrics in all types of washing machines and hand washing. Modern concentration method reflects in the economy of use, affording to obtain 120 washes from 10 kg of powder. The powder contains ingredients protecting the washing machine from scale, eliminating the need for decaling and supporting reliability of the washing machine. The powder for washing fabrics in all types of washing machines and hand washing. 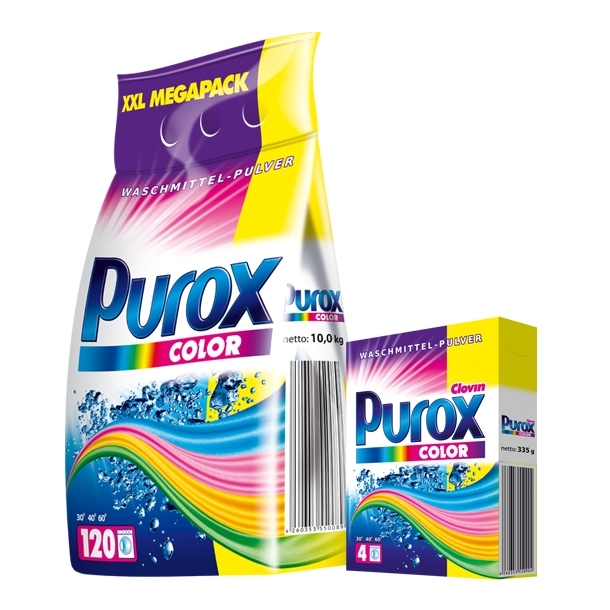 Suitable for washing colorful and white fabrics. The modern way of concentration, which is reflected in the economy of use, allows to obtain 120 kg of laundry with the use of 10 kg of powder. The powder contains ingredients which protect the washing machine from scaling, eliminating the need for descaling and supporting the reliability of the machine. 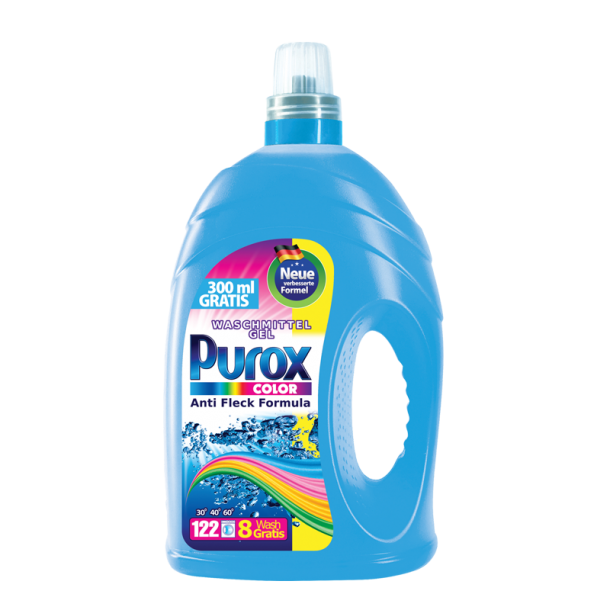 Universal, efficient gel for washing bright and colourful fabrics. For all types of washing machines and hand washing. 4.3 l - 122 washing.